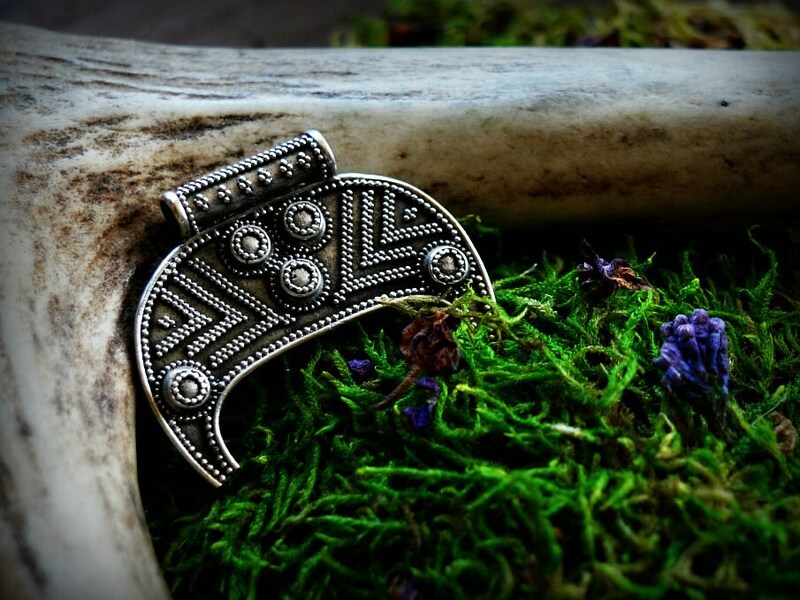 Stunning, beautifully detailed, silver moon-shaped pendant (also called lunitsa, lunnitsa or lunik pendant). This lunar amulet is a replica of find from Poland, dated to Viking period. Similar pendants are known from Scandinavia and Eastern Europe. Made in difficult ancient technique called granulation. Elaborate design makes it an eye-catching small piece of early medieval art. 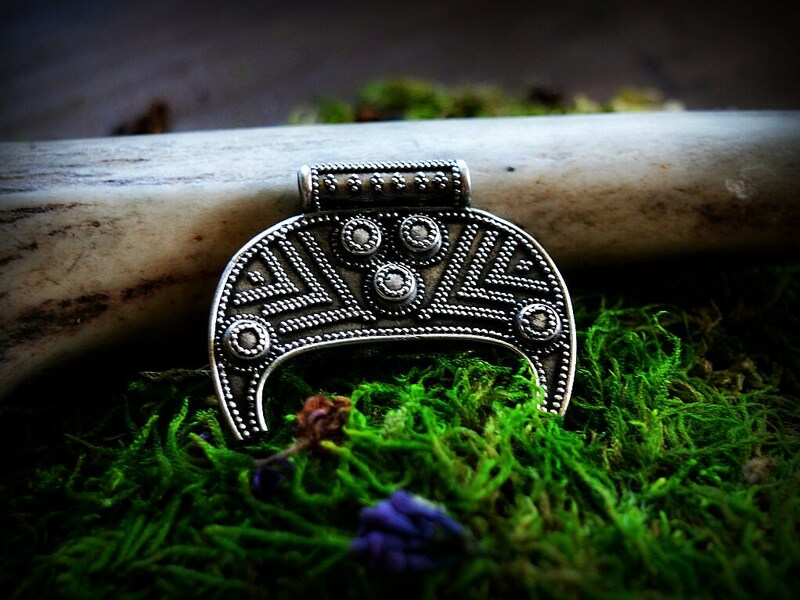 Lunik pendants are considered a symbol of fertitility, female strength and luck and is known from ancient times. Crescent shaped pendants like this one were often worn by Viking and Slavic women simply on the chest or with other pendants and beads. Viking women were known for wearing impresive necklaces hanging from one tortoise brooch to another. This was the way to show off their husband's wealth and status.